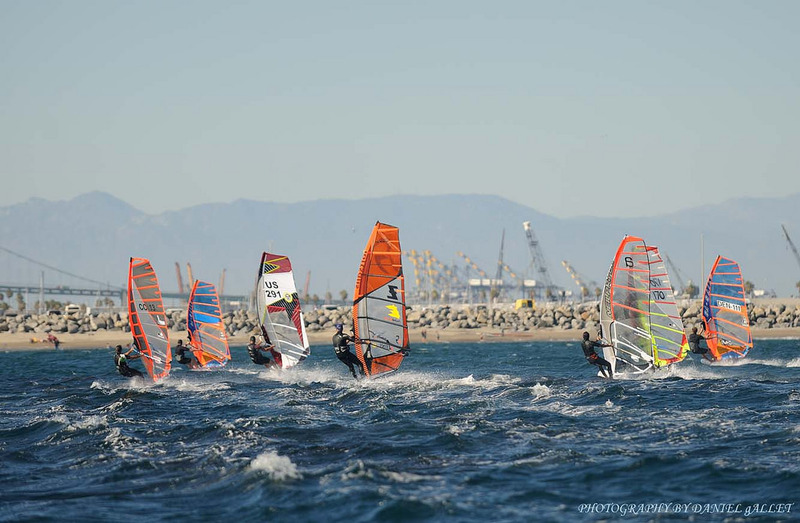 The 2015 US Windsurfing National Champions were crowned after three days of hard-fought competition in dynamite conditions in San Pedro, CA! Jesper Vesterstrøm (DEN-111) dominated the proceedings at Cabrillo Beach in both Formula and Slalom to take the overall title this year, in front of last year’s champion (and this year’s event organizer!) Xavier Ferlet (GBR-451). The US Nationals is always a unique event: it brings seasoned pros, wily amateurs and wide-eyed beginners together to celebrate the sport we love: top-notch racing of course, but also fun sailing, gracious clinics from the pros and all-around ‘good juju’ – as Donna Woods, a key benefactor of this year’s event, likes to call it! 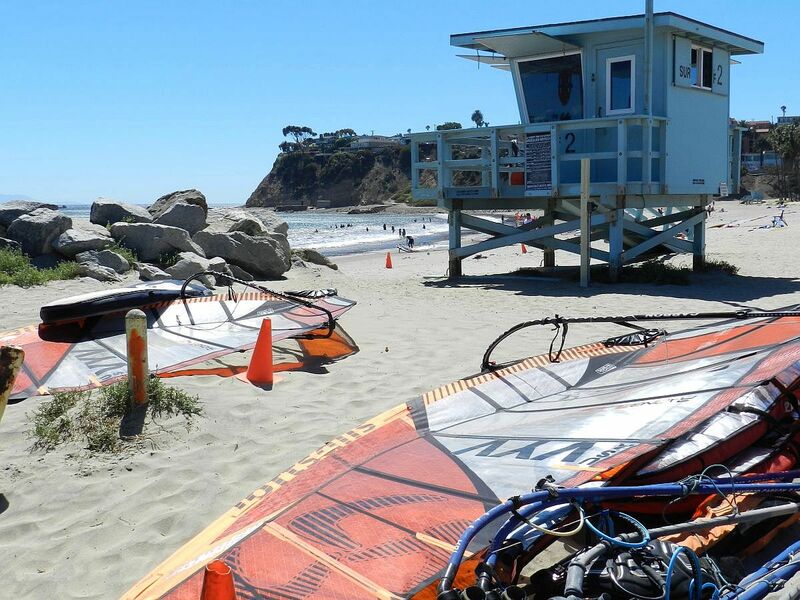 It’s a chance to joust on the water, trade stories on the beach and learn from one another. 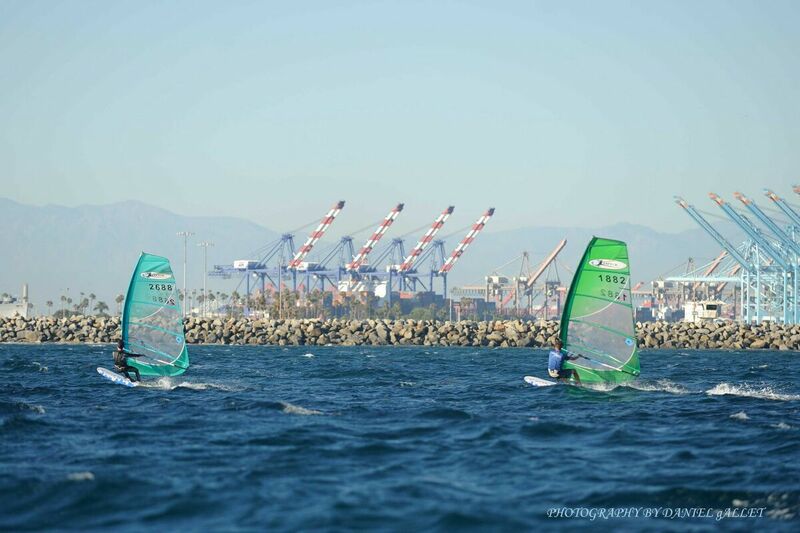 Windsurfing classes are often insulated, but not at Nationals: Slalom, Formula (the event doubled up as the 2015 Formula North American Championships), Freestyle, Kona and Fun Racing were all well represented, and we saw many competitors cross over from one discipline to the next, just for the fun of it! 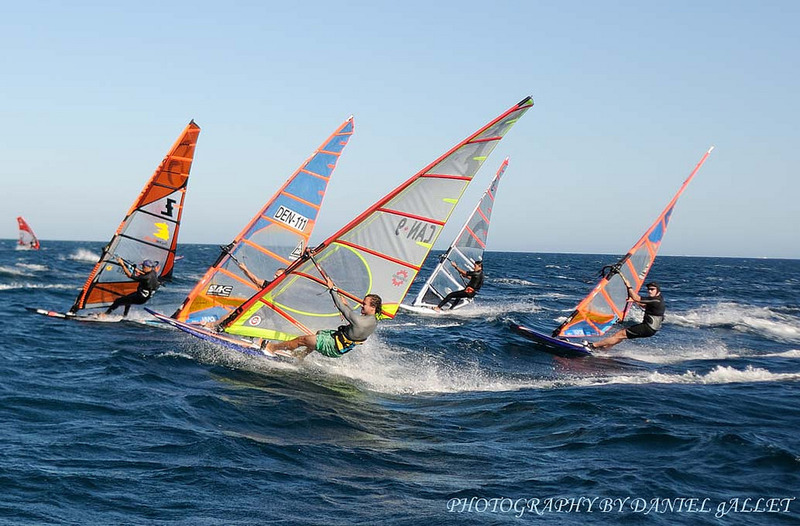 It’s not really surprising to see freestyle guru Phil Soltysiak perform well on the slalom course, but seeing Kona racers venture out in 25-30 kts on that same slalom course was something else entirely! The cranking winds (this is ‘Hurricane Gulch’ after all) and beds of kelp kept everyone on their toes. For the course racing guys, the lifted tack was often on starboard near the cliff, but that’s where all the kelp was. You could save yourself a double tack further up the course by staying close to the kelp, but at your peril! That kept things interesting all the way to the windward mark, which was the fixed whistle buoy at Point Fermin, with its garrison of seals and sea lions keeping watch. Those who fell at that mark discovered a new spring in their waterstart abilities! Jesper and Xavier were dominant in Formula all week, but the battle for 3rd between Al Mirel and Tom Purcell raged on ’til the very last race. They ended the series tied not only on points, but for each of two tiebreakers as well! Al was on the lucky end of the third tiebreaker by placing ahead of Tom in the last race. 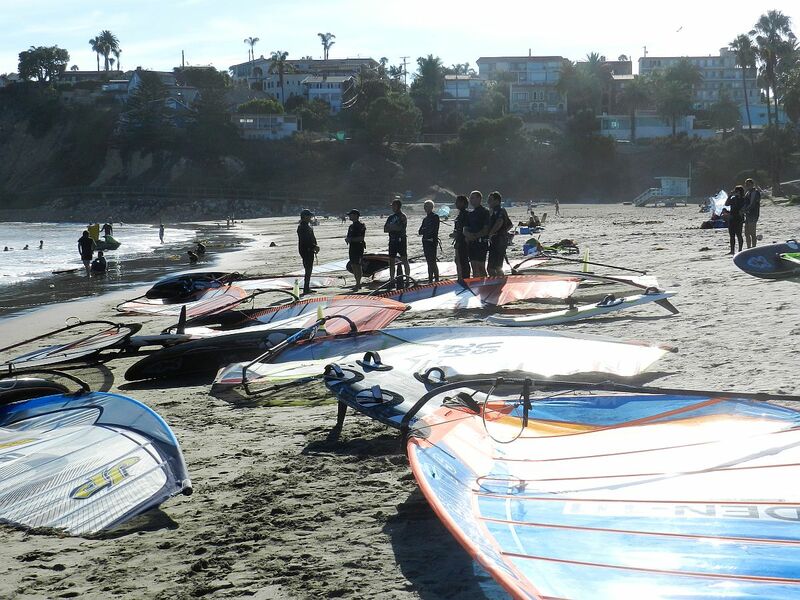 Fresh off a month-long tour to energize the West Coast windsurfing communities and reintroduce everyone to the joys of light-wind one-design sailing, the Kona Class was well represented in Cabrillo Beach. It missed out on the first day of action (when the wind came up early and took all the marks with it! 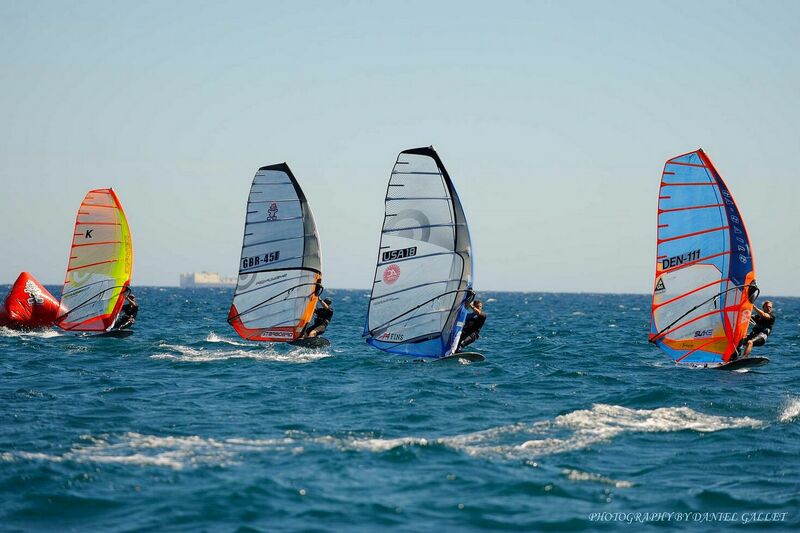 ), but made up for it on the other days with racing from the low-teens to upper-twenties – wind conditions that truly tested the upper range of the class! Steve Gottlieb (from Daytona Beach, FL) is the force behind the brand in North America, and thanks to him, Kona kits were available for charter at the event. Steve showed that he’s the man to beat on the race course too! Cody Steward, US Windsurfing’s Executive Director, gave him a run for his money but came up one point shy. The legend himself, Bruce Matlack, was there to compete and showed everyone the stuff he’s made of, and veteran Olympic campaigner Barbara Belt (from Houston, TX) impressed all week to take the women’s National title and third place overall to boot! In freestyle, hotshot Philip Soltysiak (CAN-9) made it look easy, with impressive aerial maneuvers and butter-smooth action in the shore break. Young guns Alex Mertens and Justin Scott paid close attention to Phil’s masterclass, and already have a battery of new moves to work on back home! Shaun Geer led the B fleet around the track ahead of Justin Scott, while Johanna Yee pulled off a really consistent performance (she was one of only two racers in the B fleet to complete all heats!) to finish the week in 3rd position, and 1st woman, in the B fleet. The fun race on the last day of competition was aimed at less experienced racers, but you wouldn’t have guessed it from the way everyone performed! 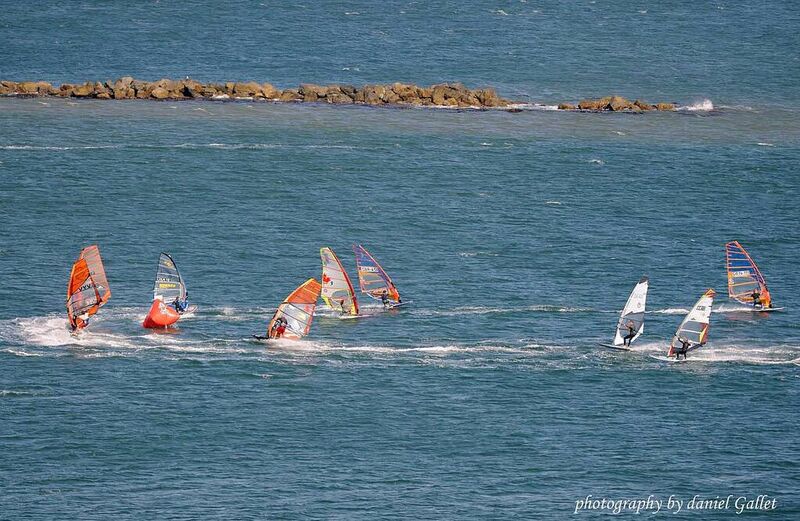 It started straight on the beach, through the shore break and took competitors around marks in the open ocean. With gusts over 20 knots, the adrenaline was palpable! Big kudos to all for taking part and reminding everyone that pushing one’s limits is the key to eternal bliss! San Pedro is its own little community but it’s part of the greater Los Angeles area, and you don’t have to go too far around here to spot a film crew. It just so happens that the “Criminal Minds: Beyond Borders” film crew was on Cabrillo Beach this week to shoot Gary Sinise doing his stuff. All the windsurfing action on the beach was a major distraction, however, and the camera operators were caught a few times with their lens aimed in the wrong direction – look for windsurfers in the background when the show airs on TV starting next January! We join Jesper to give “big thanks to the local organizers, Lyrah Colvin, Xavier Ferlet and all the volunteers!” They worked tirelessly to showcase this great venue, and Cabrillo returned the favor and blessed the event with ideal racing conditions. Principal Race Officer Darren Rogers was a hero on the water, bobbing for hours in a boat that was too small for the conditions, chasing after elusive marks, threading challenging course areas around beds of kelp, and running races until sunset every day. The days were packed, but Jesper and Phil found time (and energy!) in the evenings to run free clinics on the beach for everyone. Thank you both for being so gracious with your time and helping others raise their game! What an incredible opportunity it was to learn from the best. Big thanks as well go to the Cabrillo Beach Park and LA County lifeguards on station there for their great support throughout the event. Without individual benefactors, partners and sponsors, an event like this would be impossible to put together, and we owe an enormous debt of gratitude to all who volunteered throughout the event, to Donna Woods for her enthusiastic support, and to our good friends at Starboard, Neilpryde, Severne, Sailworks, Adventure sports, Sandy Point Progressive, Ghost Drone, Seaspecs, Pacific Inn, Ronstan, Captain Kirk’s, AWT, and iWindsurf. We can’t wait to do it all again, and are excited already about next year’s venue! Hang tight, we’ll have more details in a few weeks. Good pictures are essential to spread the stoke, and we were privileged to have pro photographer Daniel Gallet with us this week. We used a number of his pictures in this article (thank you Daniel! ), but you should check out his website for more outstanding action shots. Jerome! What a fabulous in-depth and from the heart report! I felt like I was there by how well you described the whole event and all the people who played a big part of it’s success and ‘good juju’.Thanks for the kudos and I’m glad I was able help.Daniel Gallet did an amazing job as the official photographer! Not easy shooting fast racers from a boat in epic wind conditions! Yay Daniel and yay to all of you for keeping the coolest sport on water alive! 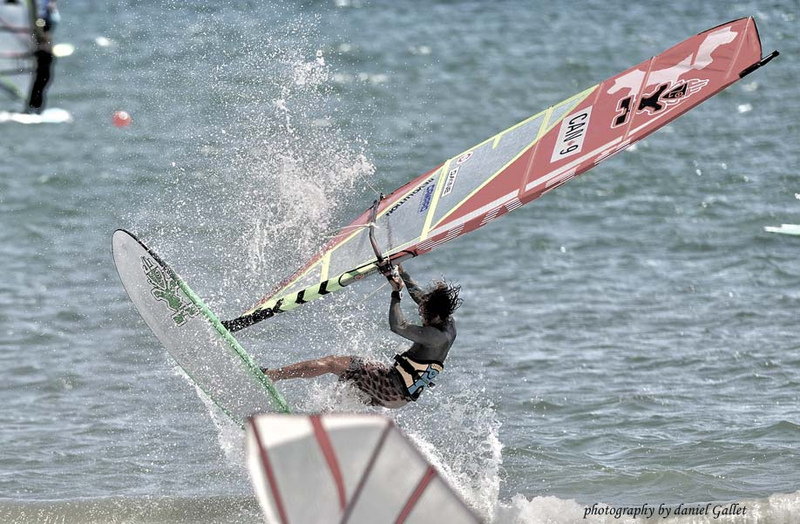 Next story Behind the Scenes at the East Coast Windsurfing Festival!